Whether it’s the cold, sweat, vibrations from the bike or even the risk of wiping out, hands are put to the test in all manner of ways when you’re cycling, serious rider or not. So, if you’re looking for warmth, breathability, protection or that additional control when you’re racing down a track, making sure that you have the right kind of cycling gloves for your needs is pretty important. If you’re a road or cross country cyclist, you’ll need some padded gloves, as these will help to lessen the impact of vibrations on your hands. With worse case scenario being carpal tunnel syndrome, those serious about covering the mileage on the roughest terrain should invest in either padded finger or fingerless gloves for protection all year round. 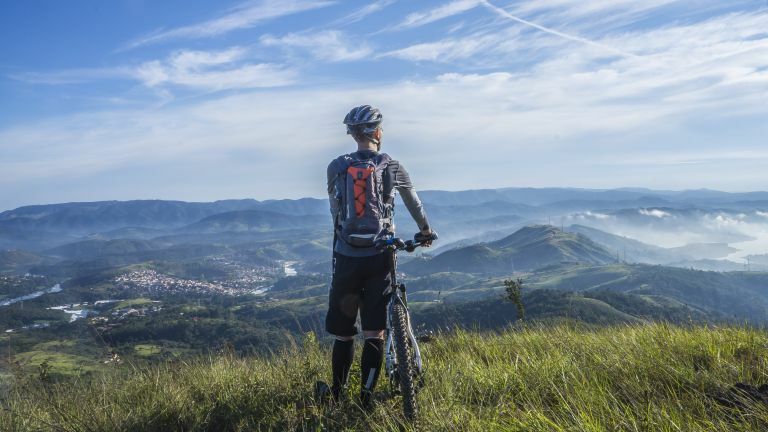 Aside from the necessities from different areas of the sport, weather is one of the largest variables when it comes to choosing the best cycling gloves. Those who cycle in the winter will need to invest in thermal, waterproof gloves, while summer cyclists are better off going for fingerless, breathable gloves to keep hands sweat-free. With that the case, we’ve researched the best cycling gloves across the net right now. From great all-rounders to those specific for certain terrain, take a read of our list below and discover the best. If you’re a casual cyclist looking for a pair of decent all-rounders, these gloves should fit the bill. They’re not thermal, but they are full length, so they fdshould provide a good level of protection during spring and autumn. They’re also breathable, so if you prefer the additional grip you get when wearing gloves, you should be able to wear these comfortably enough on warmer days, too. Touch screen compatible, texting on the go or giving your route map a check shouldn’t be an issue, and the glove features reflective panels for additional safety on the road. For those super-hot days, this pair of mesh gloves is a great choice for keen cyclists. They’ll provide the grip you need but keep you cool and ventilated so you don’t get sweaty, and they’re tan-through, too, so you won’t have any dodgy tan lines after a day out on your bike. They’re also exceptionally thin and easy to slip into for a barely-there feel but a secure fit that you can guarantee won’t move during your cycle. They’re finished off with a layer of DoctorGel which is specifically designed to reduce pins and needles in the fingers after a few hours cycling and can reduce nerve compression for long-distance riders. If you make a checklist of all the things you require from winter gloves, we’re pretty sure that these ones will tick all the boxes. They’re made from specialist Windstopper fabric, they feature a warm fleecy interior, and you’ll benefit from silicon texturing for additional grip. To make them exceptionally weatherproof, the gloves also feature a high neoprene cuff, which you can tuck right inside your cycling jacket to completely eliminate the risk of windchill. Ideal for temperatures ranging from 5 to minus 5 degrees, these may compensate on breathability just a little for warmth, but it should be totally worth the compromise. As the weather gets warmer, out should come these breathable, sweat wicking gloves from Endura. They are the ideal purchase for road and off-road cyclists who cover long distances. Thanks to their gel pads, they’ll protect your hands from vibrations, and with silicon prints on the fingers and palms, will provide that additional grip, even in the hottest weather. The only compromise is that these gloves are not waterproof, but for that you can benefit from additional breathability. Although they may seem bulky, Giro describe these gloves as lightweight, waterproof and super warm, thanks to Thinsulate insulation in the palm, PrimaLoft insulation on the upper, a fleece lining and pockets for potential handwarmers. On top of this, the gloves are touch screen compatible, allowing you to use your device without taking them off. Externally, the gloves feature a gripped palm and reflective detailing to ensure you’re kept visible when road cycling. All in all, these are the best gloves for keeping your hands warm in the iciest of conditions… if you can compromise on their bulkiness. The more serious cyclist may notice that the impact on their hands is triggering nerve compression when cycling on rougher, longer routes. These cycling gloves are a little more durable, with a special layer of Technogel padding that ensures comfort all day long, so you can rack up the miles without having to stop due to discomfort. They provide even pressure distribution across the hands, and their breathable mesh upper is moisture-wicking so you won’t get sweaty either. If you’re training hard, then these cycling gloves will ensure you stay on the top of your game. Midseason weather can be neither here nor there, so it’s always a good idea to own a pair of gloves that’ll take the sting out of cooler days. These scorpion printed gloves feature a Thermoflex back panel for mid-level protection while still giving you plenty of movement to flex your hands. The synthetic leather palm will maintain grip, while the padding will act as a shock absorber when you’re cycling over particularly rough terrain. The ideal warm weather glove for cross country cyclists, these offer plenty of support when it comes to absorbing vibrations as you cover the terrain. Featuring a synthetic leather palm, they should offer resistance against wear and tear from hard riding, while the hook and loop closure will keep them secure on your hands. Available to purchase in white, yellow, red and black, you can keep all of your cycling gear in sync, too. Thinking of taking things up a notch? Entry-level racers should take a look at these gloves. Those looking to enter the world of racing should invest in a decent pair of protective gloves. While, at this stage, it may not be worth you spending excessive amounts of money on a pro pair, these entry-level gloves don’t scrimp out on protection. Featuring armoured knuckles and padded palms, these stretchy gloves should keep your hands in check whether you’re riding rough terrain or wiping out on a sketchy bend. Whether you’re training for a race or simply commuting to work, a good pair of cycling gloves will keep your hands comfortable and blister-free. The anti-shock gel pads absorb any pressure when cycling and distribute the weight evenly across your palms for a more comfortable cycle, and this means you’ll be able to go for longer without wearing them out. Their Velcro fasting makes them easy to get on and off and also makes them adjustable to your preferred tightness around the hands.